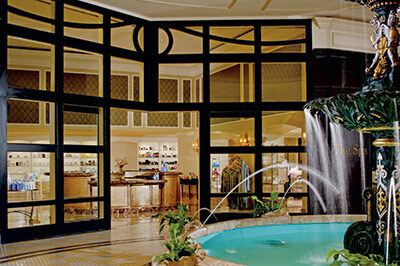 The South prides itself on hospitality, and The Ritz-Carlton Spa, New Orleans, is no exception. 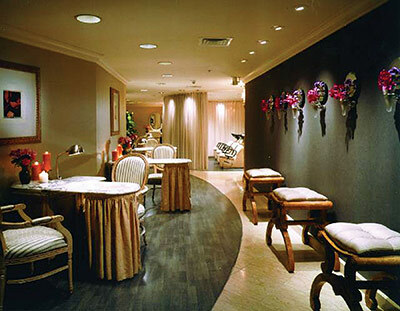 It is dedicated to clients’ comfort and well-being, while immersing them in the mystical flavors of the city. When the spa began almost 18 years ago, it was an amenity for the hotel and the only game around. While the competition has grown considerably over the years, The Ritz-Carlton Spa, New Orleans, continues to stand out with its variety of soothing therapies and unique treatments to relax both body and mind. Director of spa/retail Claire J.A. Seneca sat down exclusively with Skin Inc. to talk client retention, developing new treatments and, of course, voodoo. Skin Inc. (SI): What motivated you to get into the spa industry? Claire J.A. Seneca (CS): When I was in the French army, I was on a mission in Thailand. During leisure time, I experienced Thai massages. I loved it! That’s when I decided to learn it over there. That was 15 years ago, and I’ve been around the world. SI: What do you love about the industry? CS: I love the creativity of the spaces and experience. I like working on all five senses. SI: What treatment is the spa known for? CS: It would be the Voodoo Ritual, which is our most popular treatment. It’s based on Thai massage, but utilizes the scents and sounds of New Orleans. The Voodoo Oil and the locally crafted herbal poultice that is incorporated into the treatment contain wooden notes to awaken the senses, like vetiver, moss and cypress. SI: How often do you offer new treatments? CS: When developing new treatments about every six months, I take my inspiration from real cultural ceremony and ritual to create a story around it. However, I definitely want it to appeal to New Orleans. So I might incorporate something like coffee or even magic … but it’s all in good fun. Nothing serious, or it would be considered offensive. CS: The comfort of our guests is our highest mission. We pride ourselves on anticipating our guests’ needs and our confidentiality. SI: Do you hold events? CS: Yes, we will have customer appreciation days or full moon parties. We’ll invite local vendors to showcase their offerings and have music. SI: What do you look for in a new hire and how do you continue your team member’s education? CS: In a new hire, we look for someone who is focused, available, reliable and a team worker. From there, we have departmental meetings and organize continuing education to keep our team members educated. With products, we work closely with our product lines. SI: Where do you see the spa industry heading? CS: Clients want results quicker, and while I still feel our hands are better tools than pieces of equipment, it still isn’t enough. By adding in more medical esthetics, like injectables, clients will get that instant satisfaction.